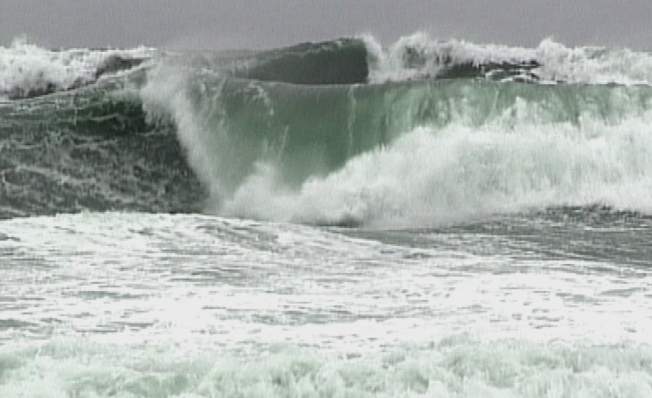 The storm's impact on local beaches will be felt in coming months. During these El Niño storms there is rain and wind everywhere so that's what you see, what you think about as you sit at home or in the office watching mother nature's fury unwind. After all, you're worried about picking up the kids from school or the delays and hassles that will greet you as you head home from work. And how about your home? Is it safe or will a gust of wind send that big tree out front onto your roof, your car or the house next door? Well, imagine you're one of the lucky ones who have an oceanfront home or business. Are you still feeling lucky? Suddenly you have a whole new set of worries dumped in your lap and it all stems from the reason you're there in the first place -- the Pacific. When major El Niños hit, the seas become monstrous. Waves, like we saw this week, can grow to 15 feet or higher and depending on the tides, your location and just how long the pounding lasts, eventually they take a toll on coastal property, the seaside cliffs and the beaches themselves. In past events we've seen houses wash away, major chunks of piers disappear under unrelenting surf and that favorite beach of yours just may disappear all together. At Mission Beach, for example, you're used to seeing the sand come up to the base of the wall on the ocean side of the boardwalk. Well, if the storms keep coming as they have this week, it won't be long before that three or four-foot wall is six or eight feet high. Further north, in Encinitas, imagine Beacons and Moonlight literally without sand. It's happened before and could happen again this winter where virtually all the sand washes away leaving behind miles of huge cobblestones instead of soft, sand beaches. The restaurants in Del Mar and Cardiff-by-the-Sea have all seen major damage in years past. The Poseidon in fact was pretty much destroyed during one such El Niño winter. The owners rebuilt but added extra thick glass to their windows and anchored their famous patio to the bedrock some 15 feet below what is currently beach. They may lose the sand again but they vow that Mother Nature will never again wash away their entire business. The famous Marine Room overlooking the La Jolla cove suffered a similar fate back in the 80s and display pictures of the inside of their beautiful restaurant awash under four foot of ocean.